George is one of the fathers of semiconductor non-volatile memories, a keystone of today’s electronic products. He was the co-inventor of the first N-channel EPROM, the Intel 2708 EPROM and later created the 5v 2716 EPROM. He subsequently made major development contributions to the first EEPROMs, including the 2816, and Flash memories. 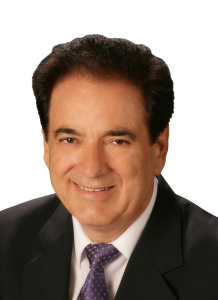 In addition to these major technical contributions, George was a co-founder of three successful semiconductor companies: SEEQ Technologies in 1981, Chips and Technology in 1983, and Atmel Corporation in 1984. In addition to major product developments, these companies pioneered the fabless semiconductor business model. George worked at AMI American Micro systems from 1972 to 1974 and Intel Corporation starting in 1974 where for 8 years he worked as a device, process, Circuit Design Engineer and project manager. He worked at SEEQ Technology from 1981 to 1983 as VP of Engineering and Atmel Corporation from 1984 to 2006 as its Chairman, President and CEO. George Perlegos received his BSEE from San Jose State University in 1972, received his MSEE in 1974 from Stanford University and continued graduate studies at Stanford until 1978. He is also a member of IEEE since 1972. Spyros Trachanis, is a Managing Partner of Odyssey Venture Partners, a venture capital firm investing in early stage technology companies originated in Greece. Active in venture capital since 1999 Spyros was previously a director with NBGI Ventures, Oxygen Capital and Global Finance. He has invested and sat on the Board of a number of technology companies in Greece and internationally, including InternetQ, spitogatos.gr, Theta Microlelectronics and Forth Photonics. 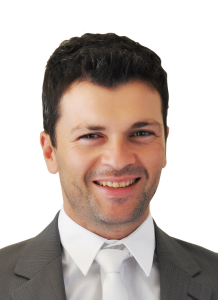 Spyros holds a Diploma in Electrical Engineering from the University of Patras and an MBA from Insead in France. Alexandros Manos has over 15 years of experience in companies developing, marketing and selling cutting-edge technologies. From 2006 to 2012, as CEO of Intracom Telecom, he managed a $350M/y international telecommunication systems vendor employing over 2,000 professionals across operations in EMEA, CIS, Asia and USA. Alexandros was instrumental as an Executive Director of Intracom’s Telecommunications Systems business unit, designing and developing broadband wireless and wire-line products sold to over 50 countries, and as a General Manager – Corporate Marketing & International Operations, devising and implementing the strategy for international expansion and positioning of the company. Between 2000 and 2004, he held various commercial positions leading to his serving as CEO with Conklin Corporation in Atlanta, Georgia, a company offering broadband solutions and IPTV. Alexandros holds a B.Sc. in Electrical Engineering, a B.A. in Business Economics from Brown University, and an MSc in Electrical Engineering and Computer Science from the Massachusetts Institute of Technology. He is a member of a several scientific, engineering and economics societies and a young global leader of WEF. Dimitris is the VP of Product Management for Econais. He was one of the original founders. 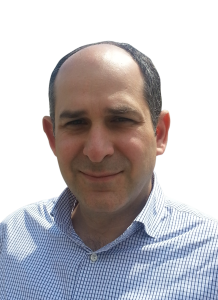 Prior to co-founding Econais, Dimitris worked with companies including Embedded Dynamics LTD, Nanoradio AB, and Atmel Semiconductor where he was Engineer and Manager. 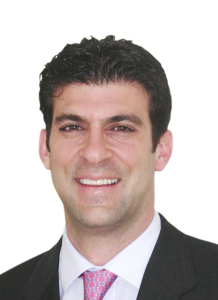 Dimitris received his Electrical Engineering degree from the University of Patras in 2000 and an MBA from Patras University.